Another break from the Thailand trip. I went to the nursery last week to get a few plants to fill in the front bed. I couldn’t resist this little birdie ornament. 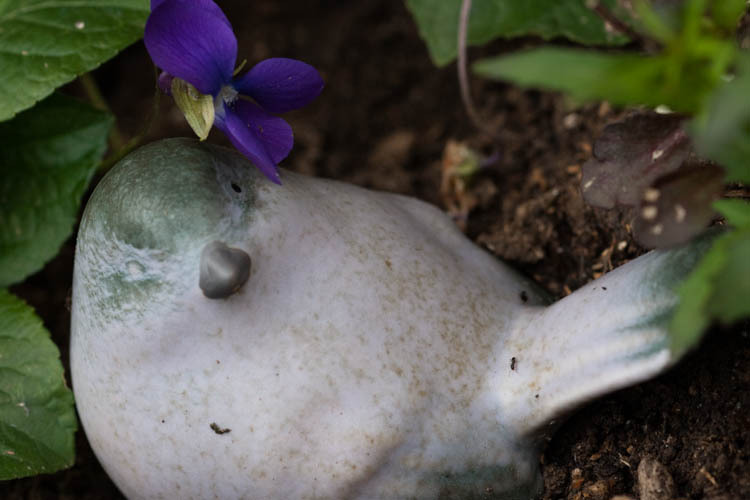 I placed him in the garden near one of the new scented violets. When this bloom came out, it looked like the bird was wearing it behind his ear. Even though he doesn’t have any ears.